Ask 10 creative directors (or any successful advertising creative, for that matter) how they got to be where they are today, and you’ll likely get 10 different answers. Some will have come up through the copywriting ranks while others will have made their way via art direction and design. You’ll find individuals who studied in the fields of art, literature, business, history and even sociology and psychology. And while their paths to success may differ, there are several tenets that I believe all could agree on. Here are five. Let me start by saying that I’m not a true believer in Malcolm Gladwell’s 10,000-hour theory – that anyone, regardless of natural ability, can attain epic proficiency in any trade by merely putting in 10,000 hours of practice. I personally believe that in addition to honing your skills, you need to come to the party with a healthy dose of God-given talent or aptitude if you are to achieve what Mr. Gladwell might consider a professional level of success. That said, if you have the creative talent box checked, then yes, hours upon hours of working your craft is the first step to success. The fact is, all professionals practice at their trade in order to remain relevant and to advance. And there’s no reason you shouldn’t as well. As a young creative, the most valuable thing you can do for your career is to practice it. Not only will you hone your skills, you’ll show agency leaders just how passionate you are for the business that they have already invested so much of their lives into. My advice: Talk to your creative director about taking on a pro bono project. Ask if you can work nights and weekends as a second (or third) team on an account to which you’re not currently assigned. Ask if it’s OK to take on freelance projects – for profit or not. If you have talent, and you work at your craft, your career will follow. A great creative director once told me, “Coming up with great ad ideas is easy. Selling them – now that’s the hard part.” Walking back to my cubicle, I couldn’t help but notice all of the amazing yet dead concepts that adorned the walls of my creative comrades’ work areas. Right he was. The more groundbreaking, the more innovative, the more daring your idea, the more salesmanship it will require to get the client to buy into it. And yes, this fact holds true for presenting to account and creative directors – they need to be sold as well. So, the next time you present creative, try this: 1) know your clients’ biggest concerns and mitigate them up front; 2) set up the creative premise before showing the actual creative – get them excited, get them saying “yes” before even showing the work; 3) show how your idea is relevant to the consumer, not just cool for cool’s sake; and 4) validate ownership – show clients how their input or direction helped you come up with the “big idea.” Remember, saying no is easy. Give clients a reason to say yes – other than how awesome you are. Fact: You work in the advertising industry. Fact: Advertising is an element of marketing. You then, de facto, work in marketing. And marketing, unfortunately for creatives, is far more science than art. Marketing has set rules, principles and processes. Marketing has a language all its own. And you need to learn it. Like all young creatives, I had dreams of one day becoming a creative director and, if I was lucky, one day having my own shop. And while everyone’s path to success looks a little different, here’s what I can tell you about mine: 1) a little talent and a lot of hard work got me a job as an art director, as well as a few steps up the creative food chain; 2) a thorough understanding of marketing principles and the ability to articulate them as they affected my creative took me to the associate creative director level; 3) further understanding the broader business of advertising and leadership rewarded me with a creative director title; and 4) once I figured out how to create effective creative and how to be profitable while doing it, I was able (with my partners) to start an agency: Shine United. We’re now going on year 12. Without a basic understanding of marketing, most up-and-coming creatives will reach a stalemate at the senior or associate creative director level. If you want to advance beyond this – and not everyone should – you need to gain a true understanding of marketing principles and how they affect consumers and commerce. Read a book. Take a class. Get smarter. If you’re a young creative and you’re reading this, I’m not telling you anything that you haven’t already realized. Making a living as an art director, designer or copywriter is not easy. Being creative on a deadline is not easy. Having your work critiqued and culled by gray-haired creative directors is not easy. Having your work critiqued and culled by junior account executives and play-it-safe clients – and those in general who do not see the potential in the proverbial out-of-the-box thinking – is downright agonizing. I’ve spent 24 years in the ad industry, and I still have my heart broken now and again. That said, I offer this: Push the boundaries of what you’ve found successful, fail often, learn from your mistakes, use rejection as an opportunity to do something even better and never, ever, ever take a critique personally. This isn’t art class – we are in the business of making art for commerce. Let me be the first to say that never had I imagined a time or place where I’d be repurposing the sage-like wisdom of one Ashton Kutcher. That is, until he delivered an acceptance speech at the 2013 Teen Choice Awards extolling the virtues of hard work, bright minds and optimistic pursuits. 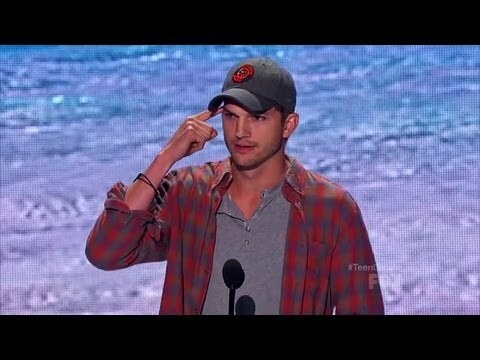 During his speech, Kutcher explained that, “opportunity looks a lot like work." Truer words have never been spoken. And as a side note, if you haven’t seen the video, I guarantee it will be the best four minutes and forty-one seconds of your day. The fact is every project you work on is an opportunity. An opportunity to make yourself better. To pad your portfolio. To sharpen your presentation skills. To add to your marketing know-how database. But as my good friend Mr. Kutcher points out, these opportunities look just like work – like job orders, kickoff meetings and creative briefs. So, stop finding excuses as to why you can’t, and start looking for ways you can. Success doesn’t just happen. See the opportunity, and manufacture it. All of the above being said, there is obviously a great deal more that goes into becoming a successful creative. But as a young creative looking to add to your skill set and advance your career, you’ll go a long way toward getting to where you want to be by working on these five. Mike Kriefski is the Executive Creative Director and one of the founding partners at Shine United, a $40 million advertising, design and interactive agency located in Madison, Wisconsin. Shine’s client experience includes national consumer brands such as Harley-Davidson, Wisconsin Cheese, Winston Fly Rods and Mizuno Running and Golf.